Having wildlife in your home is bad enough without them destroying various parts of your property. If you have recently experienced damage done by a curious critter, you may be wondering what to do next. Fortunately for folks in Roswell, Atlanta, and the surrounding areas, Smart Solutions Wildlife Removal is here to help. First things first, you need to get the animals out before they cause any more problems. If your insulation is already ripped apart, then that is likely just the first of many damages you will end up facing. Removing the wildlife as soon as possible typically reduces the amount of repair work needed. Our licensed, trained, and fully insured team can remove any critters that are causing trouble and have them taken out in a humane fashion if possible. Our methods ensure no one in your family is put at risk, including your pets! Next on the list is addressing the damages done by the creatures. Many wildlife companies can get the pests out, but their services end there. Well, not us! We are determined to get your home back to where it needs to be, so you can put any wildlife invasion problems behind you once and for all. 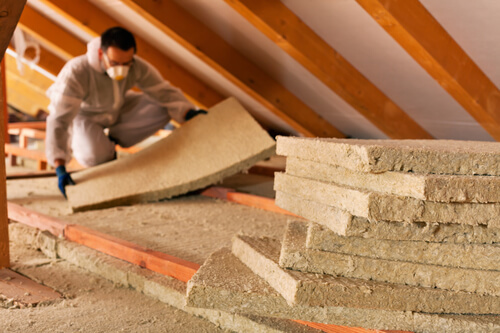 We will sanitize your space, and we are qualified to install and replace any insulation, as well. If animals have been nesting in your walls or ceiling, there is no doubt you will need these areas addressed in a timely manner! We will get the job done efficiently and quickly, getting you back to where you need to be in no time. Don’t think insulation is all we take care of. We can also replace chewed up wiring, rotted wood, drywall, and more. The last thing you need is a space that is stained, broken down, or smelly. Let us clean it up and make your attic, walls, or crawlspace look better than ever. Once your unwelcome visitors are out and your space is back to normal, it is time to ensure you don’t wind up facing these problems again down the line. We will seal any potential entry points we find, so animals cannot work their way back in. Getting our professional crew on the task guarantees a job well done, so you don’t need to stress about more unwanted guests. We know where they can enter, and we will be sure to block them out at every turn! We take pride in staying educated and up-to-date on the most effective practices in wildlife removal. You can rest easier when you trust in us because there is no crew more knowledgeable throughout the area. If you are worried about wildlife in your home, don’t hesitate to reach out to our team today. PreviousPrevious post:How Do Mice & Rats Enter My Home?NextNext post:What Types Of Bees Are Found In The Atlanta Area?